Some more fun and games in the continuing Houston soccer stadium saga. Seems Harris County has a records building located on land covered by the Letters of Intent the City signed last week. 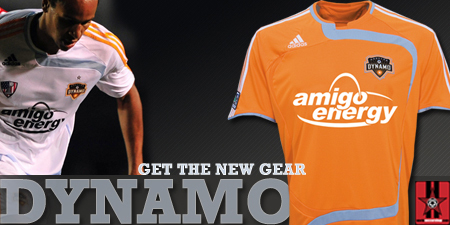 But, the good news for Dynamo fans is that the warehouse is privately owned and the landlord can kick the County out . . . so another mini-battle in the never ending City of Houston/Harris County war. Don't expect too much from the Dynamo on Friday's Super Draft, they sit with the 42 and 56 picks. I'm guessing that Dom will be looking to add some depth up front and maybe find a back-up goal keeper. Please note that the link to the Houston Chronicle also discusses the possible future, or lack thereof, to InterLiga, which was won by Club America (I recently covered the games held here in Houston this month for World Soccer Wrap and this Blog). Seems the players and coaches aren't happy with the tournament. The unfortunate thing is that Fulham is in relegation territory right now. Can Eddie help them turn things around? Will Clint Dempsey stay on if Fulham is relegated? Please, let me know what you think. I am a Clint Dempsey fan, he has heart and drive and I think his experiences in Europe will help him and the USMNT. I would love to see this young Texan move to A.S. Roma, maybe replace Mancini (who can be spectacular on the pitch, but can also be a disaster waiting to happen) if he goes to Man City.